Among the winning innovations featured at the TAIPEI CYCLE d&i awards 2014, a competition organised by the international forum design (IF Design), was the Cento1AIR, WILIER TRIESTINA’s new aerodynamic racing frame. The fork is the first part of the frame to hit wind resistance. This is where we began in our revolution of the Cento1. We posed a relatively simple question, which required an incredibly sophisticated answer. How do we replicate the aerodynamic efficiency of the TwinBlade’s fork, but in a conventional fork? Using the rigidity already developed in the Cento1SR’s integrated fork shape (a 14% increase in torsional rigidity in comparison with Cento1, thanks to the repositioning of the down and horizontal tubes in relation to the headtube), we have now created 2 small channels below the fork’s crown, in line with the TwinFork concept in the TwinBlade. These two small channels aid airflow, while enabling increased rigidity. The down tube, in its new lowered position, integrates seamlessly with the fork crown while generating another air foil which is capable of reducing wind resistance even more. The fork’s brake entry hole is hidden by the down tube, which keeps it clean and well protected. Thanks to the solid central BB386EVO movement, we have designed generous rear seat stays and, in keeping with the long-held Wilier Triestina tradition, they are asymmetric. Concept symbol of the Cento1, the asymmetric rear stays improve pedalling efficiency against the torque generated by the chain. 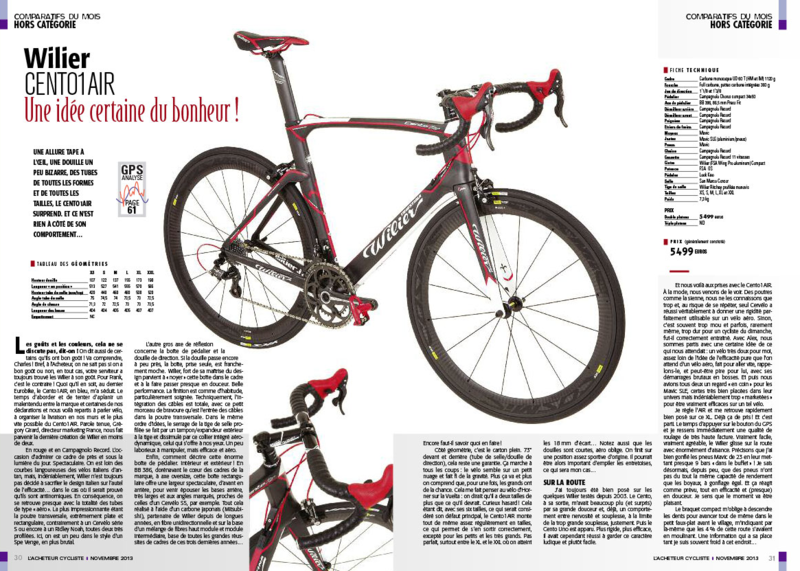 A Wilier Triestina design and Ritchey production, in carbon monocoque. 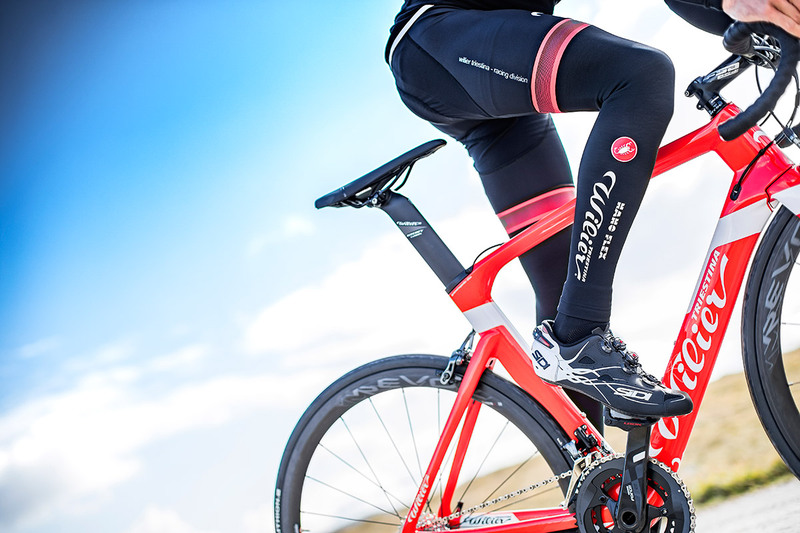 We've designed it to integrate seamlessly with the sophisticated aerodynamics of the frame. The locking mechanism is combined. Simple yet intelligent at the same time, the aero remains incredibly secure. There are two fastening systems which work together simultaneously. The first, internal part, locks the saddle to the frame. The second, a clamp, locks the saddle in place by preventing it from slipping into the saddle tube. In developing the TwinBlade we have learned that if the rear oblique seat stays are kept as low as possible, the aerodynamics of the frame are improved. This is what we have done also with the Cento1AIR, moving the stays as low as possible, within UCI standards. The rear brake is entirely covered by the stays. 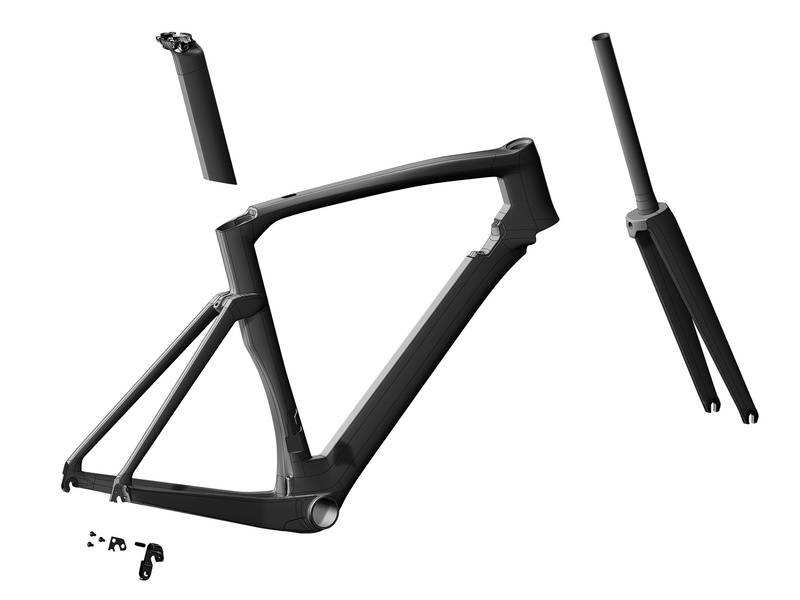 As with many other frame parts, the vertical stays have also been designed according to the Kamm theory. A clean cut, creating a virtual "fin" from an aerodynamic point of view, but which still allows them to remain light and within UCI rules. Compared to other solutions, the rear brake installs to the frame in a standard way, with a normal socket wrench, without requiring additional parts. Our cable system has been further enhanced by routing the cables inside the frames’s tubes. Our INTEGRATED ADJUSTER PLATE (IAP) is a special device which allows for the fastening and adjusting of cables. IAP seamlessly integrates with the frame, thereby bestowing Cento1SR with a very clean look where no elements are exposed to air resistance. Easily interchangeable to be compatible with different electronic group sets, the INTEGRATED ADJUSTER PLATE allows one to route cables inside the tubes and to redirect them towards the bottom bracket. Combined with the special cable guide plate located under the bottom bracket, IAP keeps cables neatly spaced from the down tube’s inside surface. Noise and shifting efficiency loss can occur when a cable does not maintain its position. The dropout evolves and implements its name. The 3D DROPOUT is born. It is not a mere rear derailleur mounting plate anymore. The dropout now extends over a third dimension and serves also as a cable stop. This newly acquired third dimension leads to an especially stiff dropout compared to conventional fastening plates. Thanks to its generous size, we were able to create two holes (a larger one for the mechanic group set cable and a smaller one for the electronic cable) to route cable housing or cables without compromising the dropout’s stiffness. In this manner, the dropout may be used both for mechanical and electronic group sets. 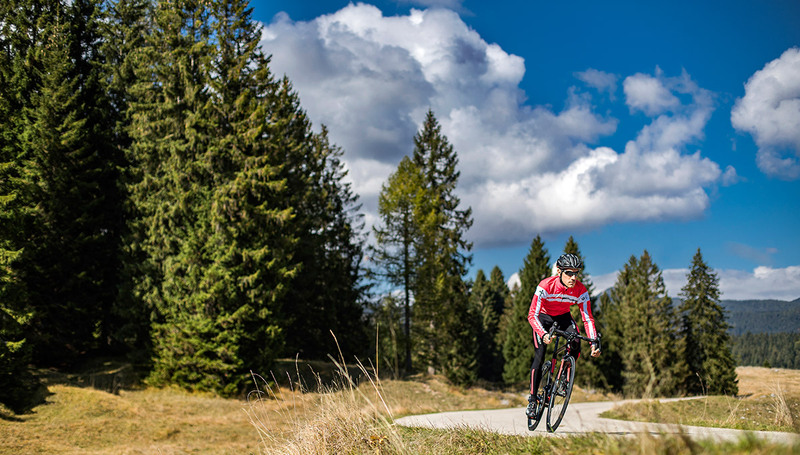 For the mechanical group set, it allows one to use a shorter cable housing sleeve and to have the shifter cable follow its natural curve since the rear derailleur cable is located closer to the fastening point. This improves shifting efficiency and smoothness. The exit routing is not the only improvement. The cable stop has been positioned above the drive-side chainstay, thereby keeping the cable flawlessly suspended within the stay. The internal cable routing through the down tube is kept at a distance from the frame’s inner surface to assure that there is no friction during shifting. The wiring exit point of the electronic group set has also been optimized as it is setback and above the drive-side dropout. This feature facilitates and expedites rear wheel removal and installation.